1638 Birth of German composer Johann Ulrich SULZBERGER . 1651 Death of German composer Wolfgang Schonsleder, at age 81. b-21 OCT 1570. 1737 FP of G. F. Handel's anthem The Ways of Zion do Mourn at King Henry VII's Chapel in Westminster Abbey, during the funeral service for Queen Caroline in London. CD-Handel: Funeral Anthem/Te Deum in D Major. 1749 Birth of Italian composer Domenico CIMAROSA, in Naples (Aversa). d-Venice, 11 JAN 1801. Search Domenico CIMAROSA | BOOK-Domenico Cimarosa : His Life and His Operas. 1750 Birth of English composer and writer Elizabeth ANSPACH in London. d-Naples, 13 JAN 1828. 1770 Birth of German composer Johann Friedrich SCHUBERT. 1770 Baptism of Ludwig van Beethoven in Bonn. His exact birthdate is unknown. 1811 Death of composer John Antes, at 71. Search John Antes . 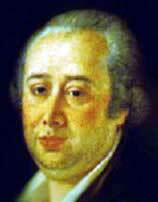 1811 Death of composer Louis-Abet Deffroy de Reigny, at age 54. b-6 NOV 1771. 1815 Birth of French tenor Gustave-Hippolyte Roger in Paris. Died 12 Sep 1879, Debut as Georges in Eclair (Halevy) 1838 Teacher :- Jean-Blaise Martin Pupil :- Mieczylaw Horbowski Created John of Leydon in Prophete (Meyerbeer) Horace in Colombe (Gounod) Azael in Enfant Prodique (Auber) Sang in premiere of Herculanum (David) Juif Errant (Halevy) Rose de Florence (Biletta). 1829 Death of composer Bernard Jumentier, at age 80. b- 24 MAR 1749. 1838 Birth of composer Berthold TOURS. Search Berthold TOURS . 1840 Birth of Danish composer Christian Frederik Emil HORNEMANN. d-1906. 1841 Birth of Hungarian soprano and teacher Aglaja von Orgeni in Rimaszombat, Hungary. Died 15 Mar 1926, Debut as Amina in Sonnambula (Bellini) 28 Sep 1865 Teacher :- Pauline Viardot Garcia Pupils :- Bella Alten, Maude Fay, Gertrude Forstel, Erika Wedekind Hedwig Francillo-Kaufmann, Eleanor Kahler-Reise, Berta Morena Margherita Siems, Edith Walker, Sophie Wolf. 1848 (18th?) Birth of composer Frederick Grant GLEASON in Middletown, CT. d-Chicago, IL 6 DEC 1903. 1849 Birth of Italian soprano Virginia Ferni-Germano in Turin. Died 4 Feb 1934, Debut as Siebel in Faust (Gounod) 1857 Pupil :- Maria Carena. 1853 FP of Johaness Brahms's Piano Sonata No. 1 in C, Op. 1, and Scherzo in eb, by the composer at his debut at chamber concert of the David Quartet at the Gewandhaus in Leipzig. 1861 Birth of German musicologist, conductor and composer Fritz VOLBACH. Search Fritz VOLBACH. 1863 Birth of composer Ion VIDU. 1864 Birth of composer John Felix August KORLING. 1864 FP of Offenbach's La Belle Helene, in Paris. CD-Offenbach - La Belle Hélène / Jessye Norman, Aler, Bacquier, Lafont, Burles, Alliot-Lugaz, Capitole de Toulouse, Plasson. 1869 Birth of Russian composer Nikolay Ivanovich KAZANLI. d-5 AUG 1916. 1870 Death of Italian composer Giuseppe Saverio Raffaele Mercadante at age 75, in Naples. Operas. b-Altamura, 17 SEP 1795. Search Giuseppe Saverio Raffaele Mercadante . 1878 Birth of American soprano Ester Osborne in Minneapolis. Died 2 Dec 1941, Debut as Marguerite in Faust (Gounod) 1905 Teacher :- C A Soderman. 1879 Birth of German musicologist F. W. STEIN. In 1910, in Jena, he uncovered an early Beethoven symphony manuscript. In C major, it is known as the Jena Symphony. 1879 FP of Antonin Dvorák's String Quartet No. 10, Op. 51, in Prague. CD-Dvorák: The String Quartets. 1889 Birth of Ukranian ballet dancer Vaslav F. NIJINSKY, l'aprŠs-midi d'une faune. BOOK-Vaslav Nijinsky: A Leap into Madness. 1892 FP of Tchaikovsky's ballet The Nutcracker and FP of Tchaikovsky's Iolanthe, composer conducting in St. Petersburg. CD-Tchaikovsky: The Nutcracker (Complete Ballet)/ Sleeping Beauty Suite | Peter Ilyich Tchaikovsky: Iolanta. 1894 Birth of American violinist, conductor, of Boston Pops for 48 years, and Boston fire engine chaser Arthur FIEDLER in Boston. Search Arthur FIEDLER . 1897 Birth of French baritone Jose Lanzone in Montpellier. Created Ergate in Ecole des Maris (Bondeville). 1904 Birth of Russian composer Dmitri Borisovich KABALEVSKY in St Petersburg. Search Dmitri Borisovich KABALEVSKY . 1906 Birth of Portugese composer Fernando LOPEZ-GARCIA, aka Fernando LOPES GRAÇA, in Tomar. d-Parede, 27 NOV 1994. 1908 Birth of composer William Brocklesby WORDSWORTH . Studied with Sir Donald Tovey. His second symphony won first prize in the Edinburgh International Festival Competition in 1950. Composed symphonies, a piano concerto, songs, and chamber music. d-10 MAR 1988. 1913 Death of Italian composer Stefano Gobatti, at 61. Search Stefano Gobatti . 1914 Death of operetta composer Ivan Zajc aka Giovanni Zaytz. 1917 Birth of composer and conductor Louis Salvador PALANGE . d-8 JUN 1979. Buried at Forest Lawn Memorial in Los Angeles, CA. 1925 (1927?) Birth of English baritone Hugh Beresford in Birkenhead. Debut as Wolfam in Tannhauser (Wagner) Teachers:- Dino Borgioli, Alfred Piccaver, Melchiorre Luise Francisco Carino, Wolfgang Steinbrueck. 1928 Birth of American tenor Seth McCoy in Sanford, NC. Died 21 Jan 1997, Debut as Tamino in Zauberflote (Mozart) 1979 Teachers:- Antonia Lavanne, Pauline Thesmacher. 1930 Birth of composer Makoto MOROI. 1930 Death of British composer Philip Arnold Heseltine aka, Peter Warlock, at age 36, suicide in London. b-London, 30 OCT 1894. BOOK-Peter Warlock: The Life of Philip Heseltine. 1934 Birth of Italian soprano Mariella Adani in Parma. Debut as Barbarina in Nozze di Figaro (Mozart) 1956 Teacher:- Ettore Campogalliani. Search Mariella Adani . 1937 Death of Canadian tenor Forrest Lamont. Born 26 Jan 1881 in Athelon, Canada. Debut in Poliuto (Donizetti) 1914 Pupil :- Kenneth Schon. 1937 FP of Miaskovsky's Symphony No. 17 , in Moscow. 1943 Birth of American tenor and composer William BROOKS. 1944 Death of composer Wilhelm Wacek. 1948 Death of composer Edgar Istel , at 68. 1949 Death of composer David Stanley Smith, at 72. 1953 FP of Dmitri Shostakovich's Symphony No. 10, by the Leningrad Philharmonic, Yevgeny Mravinsky conducting. CD-Shostakovich: Complete Symphonies. 1954 FP of Vincert Persichetti's Symphony No. 4 , by the Philadelphia Orchestra, Eugene Ormandy conducting. 1960 FP of Pablo Casals' oratorio El Pesebrio. 1961 Death of Dutch soprano Cato Engelen-Sewing. Born 27 Jan 1868 in Amsterdam. Debut as Maritana in Don Cesar de Bazan (Massenet) 1890 Teachers:- Mme Collin-Tobeschi, Knudson, Johannes Marschner. 1963 Death of German composer, writer and conductor Winfried Zillig in Hamburg. b-Wurzburg, 1 APR 1905. 1965 Death of Italian tenor Tito Schipa, at 76. 1966 Death of composer Gustaf Paulson, at 68. 1972 Death of composer Erwin Dressel, at age 63. Search Erwin Dressel . 1973 Death of English composer and teacher Arthur Sheldon Patrick Hadley, at age 74 in King's Lynn. b-Cambridge, 5 MAR 1899. Search Arthur Sheldon Patrick Hadley . 1980 Death of Spanish soprano Margherita Casals. Born 10 Jan 1923 in Barceland. Debut as Seibel in Faust (Gounod) 1948 Teachers:- Giacomo Armani. Ivan del Manto. Maria Gonzales, Giulia Tess. 1981 Death of American tenor Eugene Conley. Born 19 Mar 1908 in Lynn, MA. Debut as Dyke in Rigoletto (Verdi) 1940 Teachers:- Harriet E Barrows, Ettore Verna. 1982 Death of Russian violist Leonid Borisovitch Kogan, at 58. 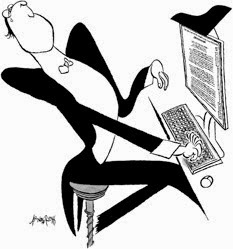 Search Leonid Kogan . 1982 Death of composer Philipp Jarnach, at 90. Search Philipp Jarnach . 1996 Death of Italian opera administrator Francesco Siciliani, at age 85. 1999 Death of Italian tenor Angelo Mercuriali . Born 17 Oct 1909. Debut as Arturo in Lucia di Lammermoor (Donizetti) 1932 Created Nemesio / Silverio / Mahat in Maria d'Allesandrio (Ghedini) Sang in premiere of Viaggio D'Europa (Rieti) Ammiraglio (Andreoli A). 2000 Death of Swiss composer Erich Schmid in Zurich. b-Balsthal, 1 JAN 1907. Search Erich Schmid . 2001 Death of German soprano Martha Modl . Born 22 Mar 1912 in Nurnberg. Debut as Hansel in Hansel & Gretel (Humperdinck) 1943 Teacher :- Otto Mueller Pupil :- Ute Vinzing Created Mummy in Ghost Sonata (Reimann) Lambert in Rattenfanger (Hiller) Frau Miller in Kabale und Liebe (Van Einem) Ballad Singer in Elisabeth Tudor (Fortner) Sang in premiere of Melusine (Reimann) Gespenstersonate (Reimann).